Eight of us assembled at the Queenscliff ferry at 8.40am on what was a pretty foggy morning. We had Peter S, Swee, Geoff and Carolyn, Rosemary, Sandra plus two friends of Peter and Swee – Ian and Bill. It’s always a fabulously scenic ride and that was so today, with the fog making things a bit different from usual. The fog lifted in the late morning so we had the glorious expansive views the ride affords, in gorgeous colours. The ride is quite short at only 28km return, but it’s a hilly ride so that you have the feeling you’ve ridden a lot more than 28km. 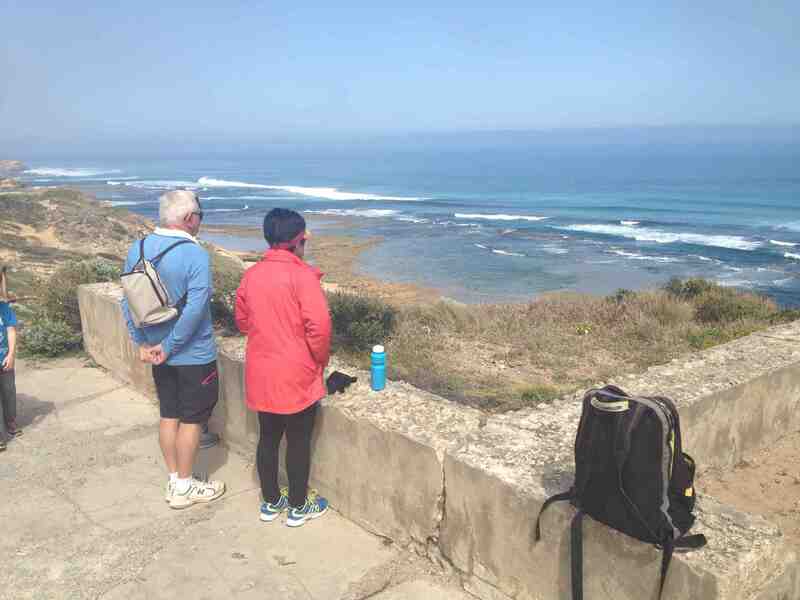 We explored the Quarantine Station, the Gunners’ Cottage, Fort Pearce, Harold Holt’s Memorial, and Fort Nepean – with lunch in the picnic ground at Fort Nepean. A great ride and we managed to catch our expected 3pm ferry home. Always a ride to provide great pleasure, and no different this time. 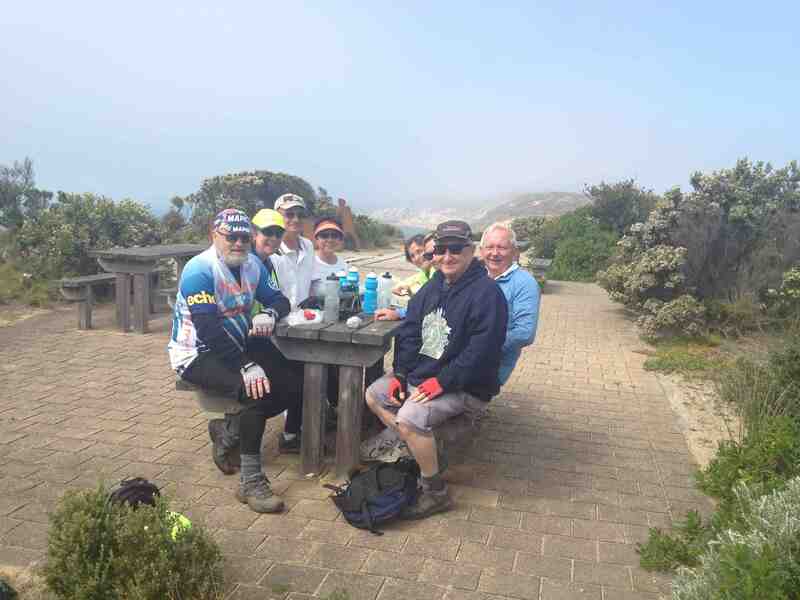 This entry was posted in Ride reports and tagged Point Nepean National Park, Queenscilff Ferry by hlyth2013. Bookmark the permalink.